​Terence Goff, tenor, has been teaching a large studio of young singers since 1995. 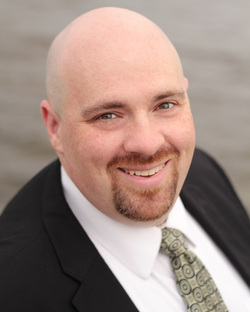 He has a BA in music from Cornell University, MM in vocal performance from New England Conservatory and completed doctoral coursework at the University of Cincinnati College Conservatory of Music. He has studied with Barbara Honn, and worked as her teaching assistant in New York City. He also has studied with Tom Baresel, Irene Gebrud, Susan Clickner, Judith Kellock and Leo Lozito. He specializes in the development of young and emerging singers and his students have been admitted as young artists at Merola Opera Program, Opera Theater of St. Louis, The Glimmerglass Festival, Wolf Trap, Palm Beach Opera, Songfest, Lucca Opera Festival, Oberlin in Italy and others. Terence’s students have been accepted at The Juilliard School, University of Cincinnati College Conservatory of Music, Indiana University School of Music, Manhattan School of Music, New England Conservatory, Mannes College, Eastman School of Music, Rice University, Ithaca College and others. He currently has thriving studios in New York City, Long Island, and online where he teaches students throughout the US and in Asia using Skype.